Is there any difference between a French and a British motorcyclist? We have received a few emails from our readers asking why this blog is about French and British motorcyclists joining forces. Well this blog is about French and British motorcyclists acting together and supporting each other when it comes to motorcycle issues that affect them in their daily lives. Who would have thought that one day the French and the British would join forces and fight together as one team, when they had been fighting against each other for many centuries in the past? Well, time has obviously moved on. With the European Union, France and Britain have learned to work together, get to know each other and realise that, by joining forces, both nations are actually very complementary. While the French culture is radically different from the British one, what has always amused us is this continuous love and hate attitude that exists between the two countries. The Brits love teasing the French with their very subtile sense of humour while the French often answer back in the most aggressive manner due to their lack of understanding of the British culture. And the French love having a laugh at the Brits for not knowing how to protest. But if you’re a biker, things might be slightly different. Bikers, whichever end of the Channel tunnel they are from, will always do one thing, that is to fight to protect their rights and keep the freedom they have always enjoyed. Freedom has got nothing to do with differences in culture, education and language. Whatever your background, if you’re a true biker, you will always want to keep your freedom and fight against anyone who may interfere with it. 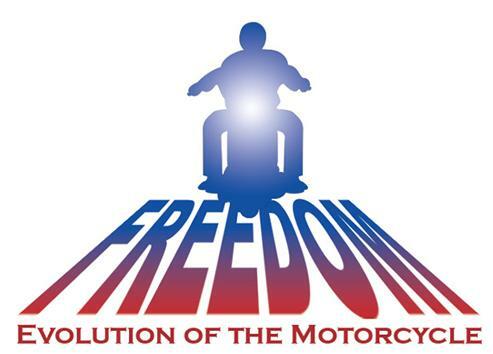 Freedom is what makes and keeps the motorcycling community so united. Nationality, culture, language, history, personality don’t matter. Bikers, whether French or British, can join forces and form one body, and that’s only because they fight for the same cause, which is to protect their precious freedom. But what’s freedom then? Well, ask yourself why you’ve decided to ride a Powered Two Wheeler (PTW). Is it because it gives you the ability to go from A to B quicker than by any other mode of transport? Is it because it is easier to park and cheaper to run? Is it because you’re never stuck in traffic and always on the move? All these reasons and many others, which have made you decide to switch from four to two wheels, contribute to your freedom in a highly congested environment where people waste time, money and energy moving around. You, as a biker, have the solution in your hands that makes you reach your destination quicker than everybody else, and also saves you money and energy. When we feel like going somewhere, we don’t need to worry about the traffic conditions, how much it will cost us to get there, where we’re going to park our bike. We know that we can leave later than everyone else and still arrive on time. It will cost us less money than using the public tranport, taxi or driving a car and we will have no difficulty to park our bike close to our destination. This is freedom. Freedom has no price and that’s what every true and keen biker, whether French, British or from any other country in the world, will always fight to protect and keep going. This is where French and British motorcyclists join forces. They fight together to keep their freedom, whether in France or Britain. They join forces to fight against any public authority that dares to attack the freedom that they have always enjoyed. Westminster City Council’s introduction of a bike parking tax in London has given rise to a group of thousands of bikers from various countries, cultures and languages fighting together as one body, because they know that if this tax gets through, it will spread like cancer cells all over Britain, France and beyond. Bikers also join forces in France to fight against the recent Government proposals to make filtering through the traffic (or lane splitting) illegal. On either side of the Channel, there are thousands of bikers (no matter where they’re from originally) prepared to demonstrate all together and make the life of politicians hell until they abandon proposals or scrap policies that have an adverse impact on motorcycle freedom. France and Britain have never worked so well together and that’s thanks to the bikers. It doesn’t matter which end of the Channel tunnel you may live on. If you’re a keen biker, there is no difference between motorcycling in France and Britain. We all live in the same world and for the same thing. “L’entente cordiale”, to which many British nationals refer when they describe the relationship between France and Britain, has never been so strong in the motorcycling community. We, the bikers, are forming one body and it is this single body that will protect our future. We have one common nationality, that is of being BIKERS, and we should all be proud of it. I can’t agree more with this post. All Bikers have the same interests, wherever they come from. We are a large and growing international group. I think the main difference is that we ride on the other side of the road here. The french are more “united” than we are but we are catching up in the U.K…..